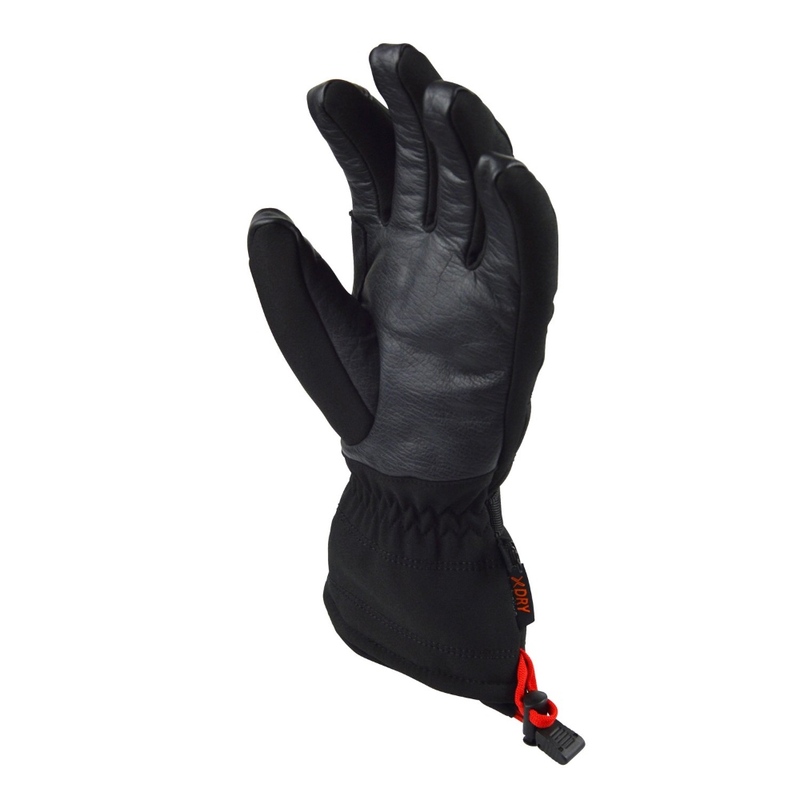 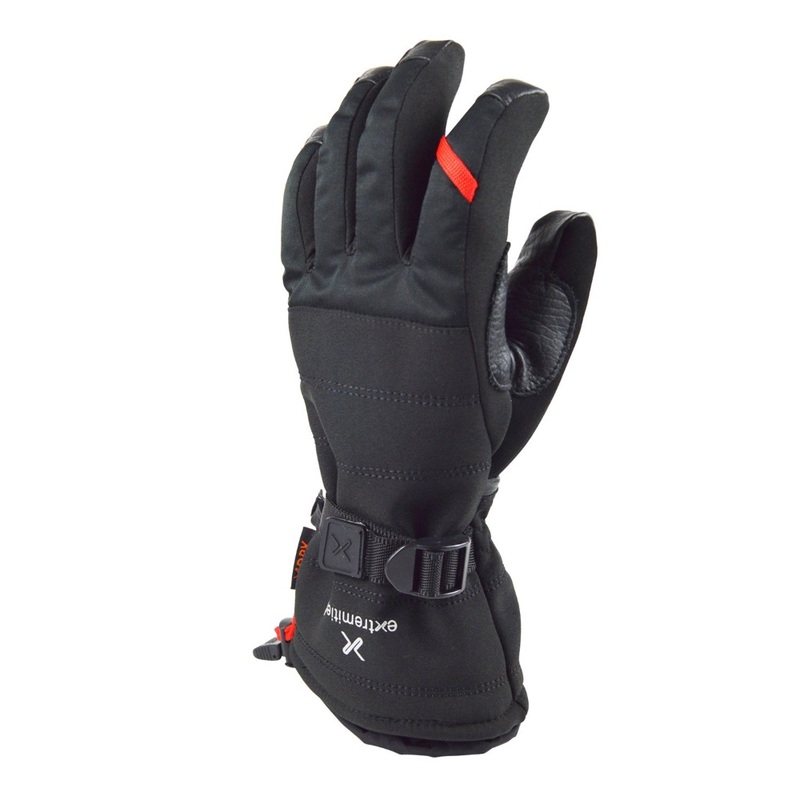 The Extremities Pinnacle Glove is one of their warm waterproof gloves, filled with 10oz Primaloft insulation to keep the worst of cold weather at bay. 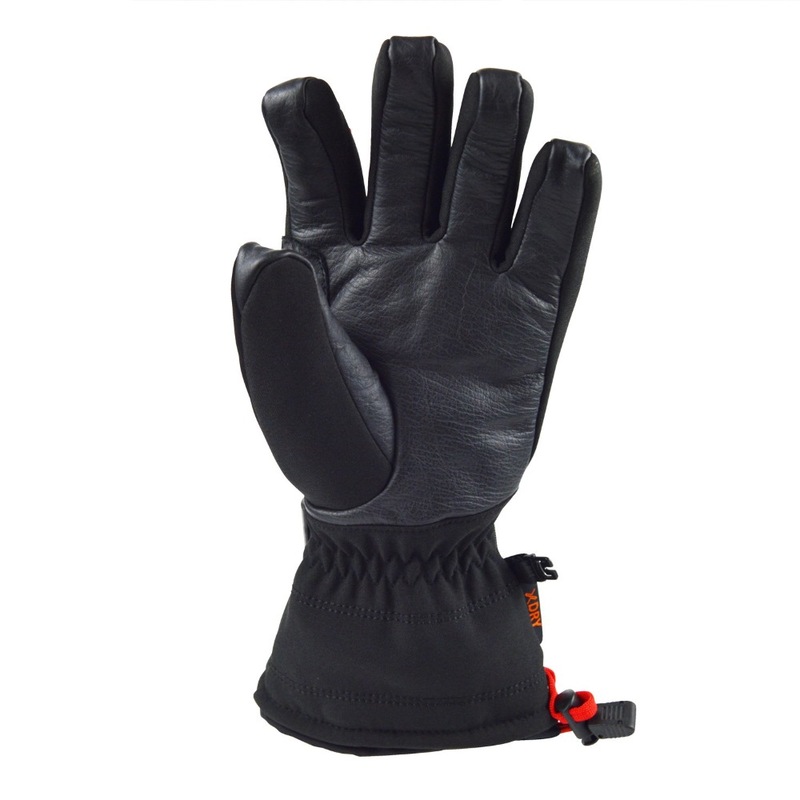 The glove has a supple full leather palm and fingers for a good grip and durability and if the weather is bad and you need to clear your goggles the suedette finish on the back of the thumb has been designed for wiping goggles or glasses. 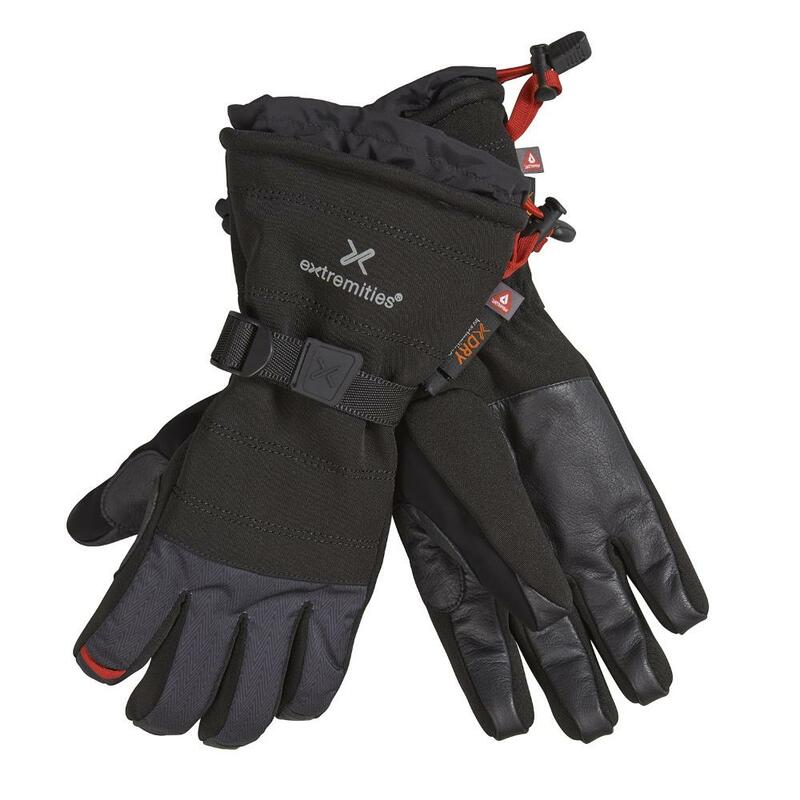 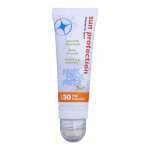 Extremities X Dry technology provides waterproof, breathable and windproof protection in all weathers. 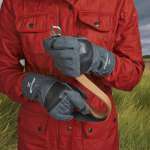 To keep cold draughts out there's a one handed pull cord at the cuff and the wrist strap is also easily tightened with one hand. 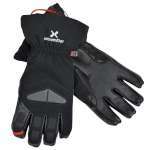 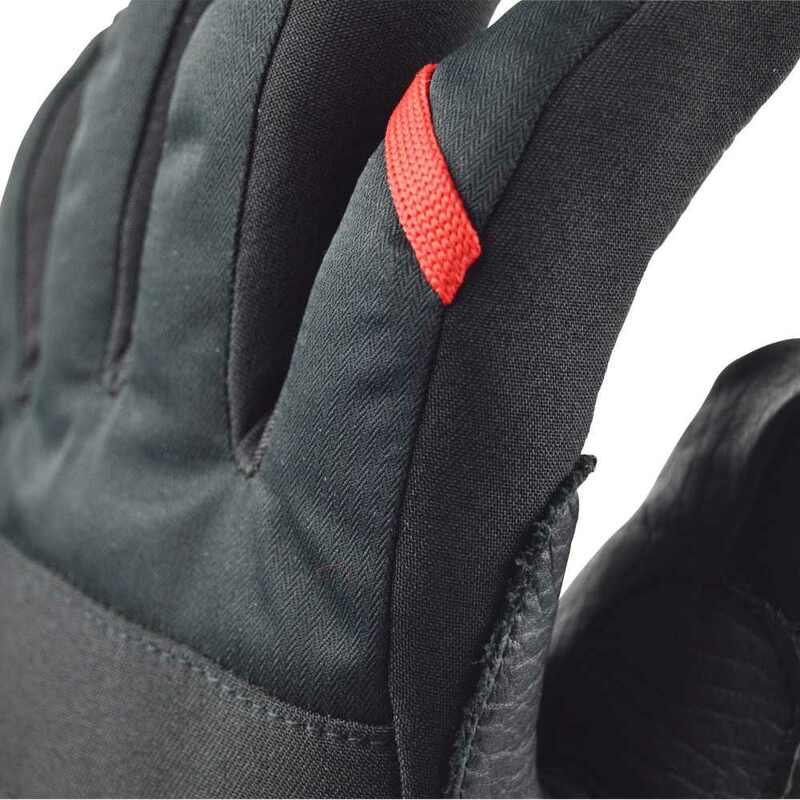 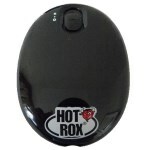 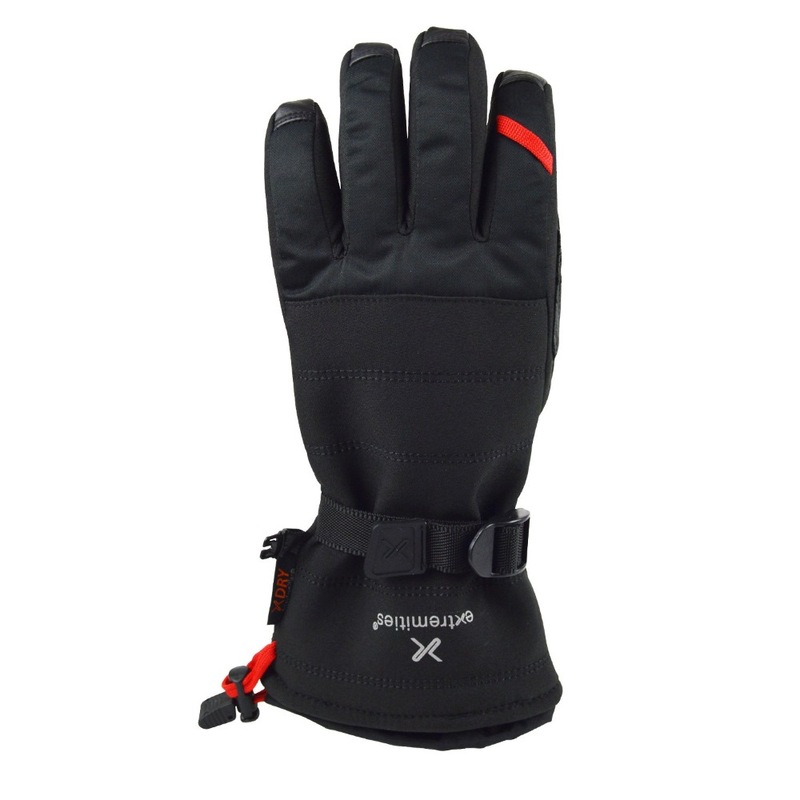 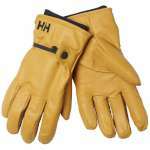 If you suffer from cold hands or need extra protection from the sub zero temperatures these are ideal gloves for you.